I say an outfit isn't complete without the perfect statement piece. Add in a hint of blue to a green outfit or any basic outfit! 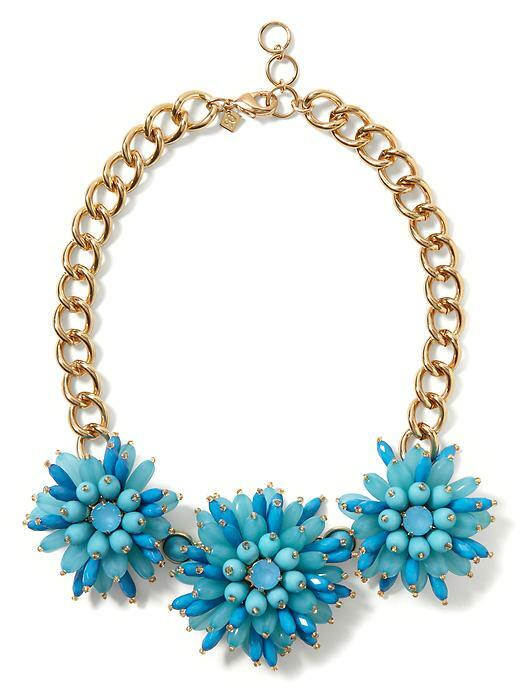 The Dahlia Burst Necklace is a favorite of mine. 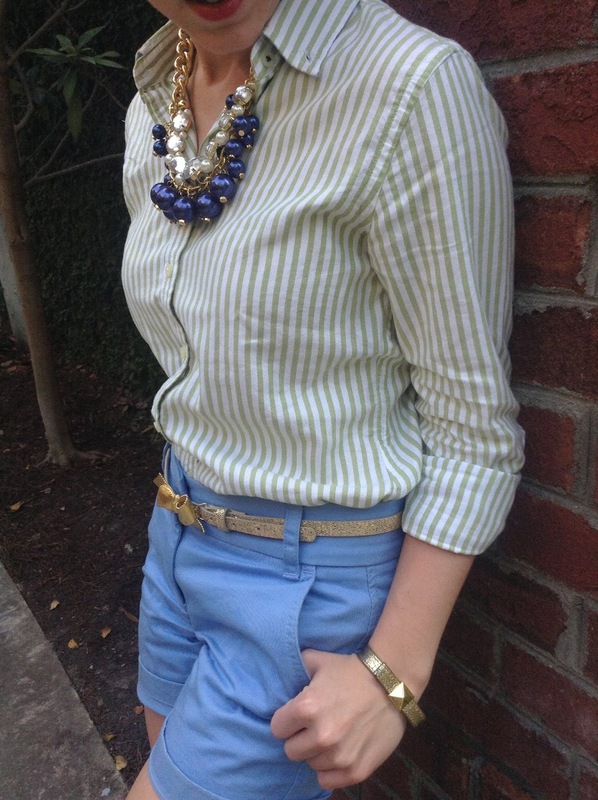 Add in a knotty Nautical touch with the Knot Necklace. 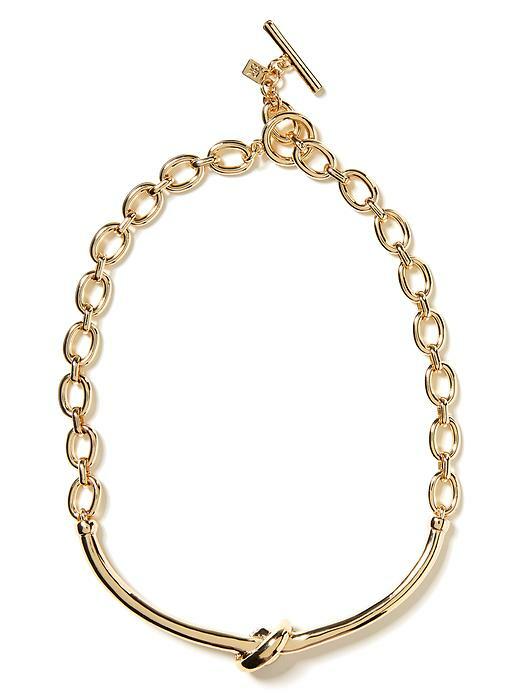 This necklace is very similar to the Tory Burch knot necklace, but is a fraction of the price on Banana Republic. 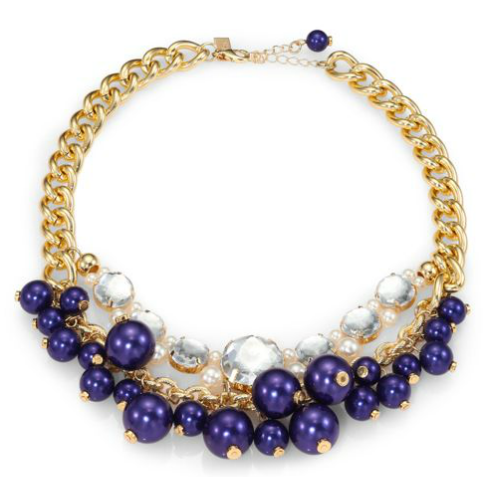 Bling up a boring navy top with a necklace such as this one from Loren Hope! I am so excited over the Hopeless Romantic Necklace from Lilly Pulitzer. 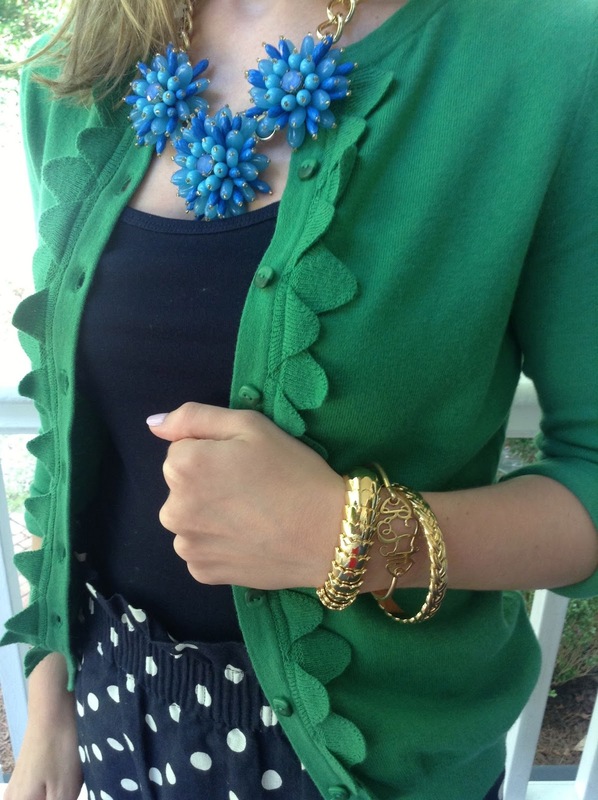 Again, it is a great way to tie two colors of an outfit together. It also serves as the perfect basic navy blue piece. What statement pieces are you loving right now? Great pieces and I especially like your cardigan in the first picture. I just recently purchased a cute necklace from Talbots that is very similar to the LP necklace, but mine has black beads. I love that sweater; Anthropologie is a dangerous place for me! I LOVE statement necklaces! My collection is starting to get a bit insane, haha! 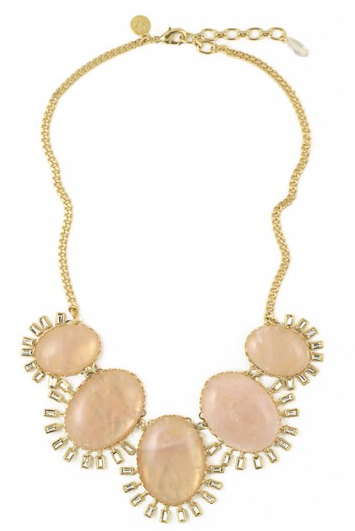 The Loren Hope necklace is gorgeous! Love all your awesome jewels! !